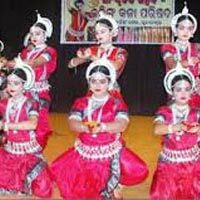 Once you arrive at Bhubaneswar, drive to dhauli viswa shanti stupa site of kaling warang ashakan rock edicts.and enroute .visit kurum barahi Temple,and konark . back to drive puri. Night accommodation in puri hotel. Enjoy sightseeing at puri ,jagannath temple,see beach.and adar tempuls and later, drive to Bhubaneswar, The well-defined carvings on the walls of the temple and its structure that has been made in the form of a chariot, attracts tourists from all over the world. Raghurajpur has been declared as the ‘Heritage Village of Odisha’ and is the only place where you can witness artisans working on silk, paper, betel nuts, coconuts, cow dung, coir and many such things. 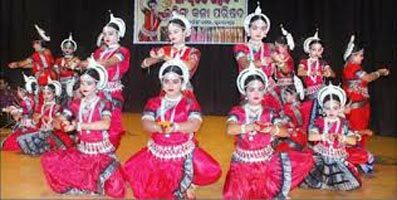 Many traditional patta painters of Odisha reside in the different parts of the village like Dandasahi, Nayakpatna and Raghurajpur. You can interact with some famous age-old patta painting workers of the village and learn about their style of work. Spend the night at Bhubaneswar. Enjoy sightseeing at Ratnagiri.Buddhist shrines vative stupas . slulptures and excavated manasteris. Laalitagiri- Mahayana sculptures bodhisuttva. Huge brick. Udayagiri- brick monasteries brick stupa dhyani budha.badhisattva tara.jambala and apaarajita. Languid-pancha dhyani Buddha and inscribed image of emperor ahoka. continue your drive to Bhubaneswar and comfortable night there . back to drive Bhubaneswar.overnight in hotel. Onward connection Dedicate this day to sightseeing in Bhubaneswar as you visit its temples, caves, Tribal Museum (Closed on Mondays) and State Museum (Closed on Mondays). You will see some of the most famous temples here like Parasurameshwar, Mukteshwar, Rajarani, Brahmeshwar, Vaital and Lingaraj Temple. The Khandagiri and Udaigiri Jain caves provide insights on the royal, social and cultural life of Kalinga. Later, you will be dropped at the railway station or airport for your onward journey.